LG has just done what we expected for quite a while, it launched a brand new Q series smartphone – the Q7. The new mid-range smartphone comes alongside two other Q series devices: Q7+ and Q7α. All three smartphones will be available in select markets in Europe starting next month, followed by countries in the Americas and Asia. The sequel to the LG Q6 comes with a better camera, AI, Hi-Fi audio, IP68 rating and rear-mounted fingerprint sensor. All three Q series smartphones come with 5.5-inch FullVision displays with FHD+ (2160 x 1080 pixels) resolution and 18:9 aspect ratio. The main differences between these Q7 smartphones are the amount of memory and the cameras. Also, all three device comes in two variations based on the chipset inside: 1.5GHz octa-core and 1.8GHz octa-core processors. 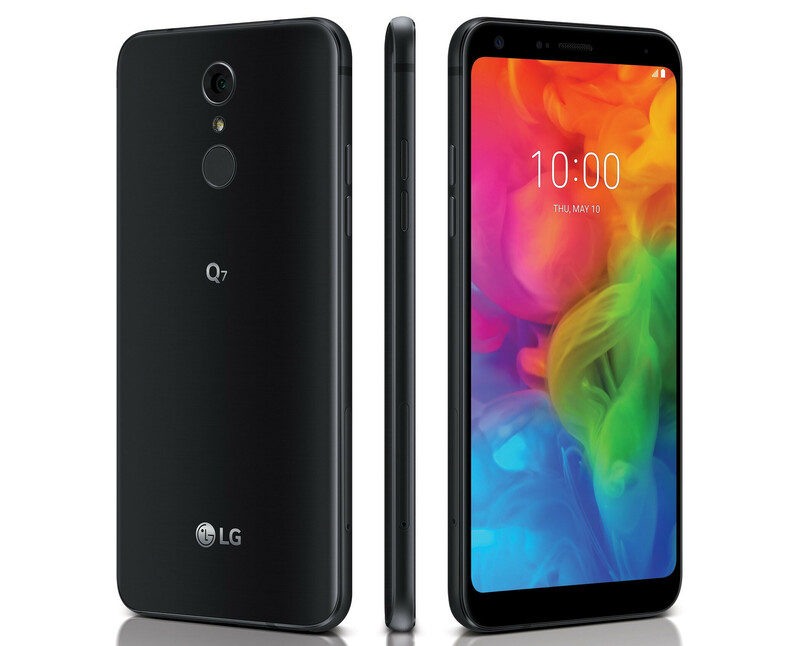 The standard LG Q7 packs 3GB RAM and 32GB internal memory (up to 2TB). It has a 13-megapixel rear-facing camera and either an 8-megapixel or a 5-megapixel front camera. On the other hand, the LG Q7+ comes with 4GB RAM and 64GB expandable storage. This one has a slightly better 16-megapixel main camera and, just like the Q7, an 8-megapixel or 5-megapixel front-facing camera. Finally, the LG Q7α packs 3GB RAM, 32GB storage, a 13-megapixel rear-facing camera, as well as a secondary 5-megapixel camera for selfies. All three LG mid-range smartphones are powered by 3,000 mAh batteries and run Android 8.0 Oreo right out of the box. They feature fingerprint scanners, IP68 rating, fast charging and FM Radio. The LG Q7+ comes with Hi-Fi Quad DAC as well. 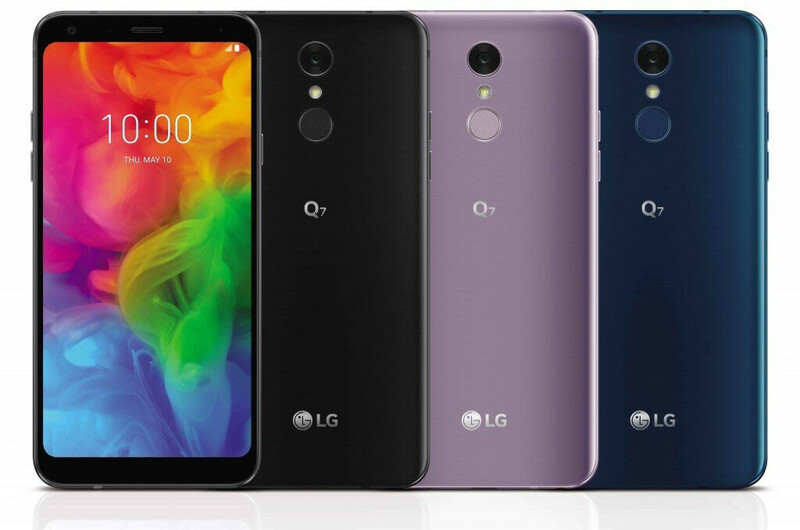 Apparently, the LG Q7 and Q7+ come in three color variations – Aurora Black, Moroccan Blue, Lavander Violet, while the LG Q7α will only be available in Moroccan Blue. Lol. I bet the chipsets are garbage. These could be good with a snapdragon 636. Well the LG Q6 came with a Snapdragon 435. So if it comes with a Snapdragon 450 or a 636 would be even better. The 636 is quite fast for gaming. But the SD 450 is no slouch, and is also good for gaming. One of them will be Mediatek MT6755 (P10) clocked at 1,5GHz. A chipset from 2015. The other one? Don't expect more than Snapdragon 450. Mediatek P10 (MT6755) and probably Snapdragon 450. Nobody wants a tiny @$$ screen. Most people treat their smartphones as their main computing device. So if you have a phablet sized device, that can do tablet things, like most Android smartphones can do, then they also replace tablets as well. Since your an iPhone guy, then stick to your low resolution iPhone 6, 6s, 7, or 8. Oh, btw the Sony XZ2 compact has a 5" FHD+ (2160x1080) display, but is physically smaller than an iPhone 6, 6s, 7, or 8. Yet the XZ2 compact has a higher resolution than an iPhone plus model. I hope that helps you weiner-con. So many tastes, but you chose to be salty. I want a tiny 4.7in phone? Something like the iPhone 8. What are you gonna say now?? I looks like low end and midrange markets are just done for big companies like LG & Samsung. They can’t make a decent lowend/midrange phone with a better price point. No official, and new info say QC Quick Charge and AI no MT6755 but SD636!